How To make Slime without Borax, an easy way to get slimey without borax solution. 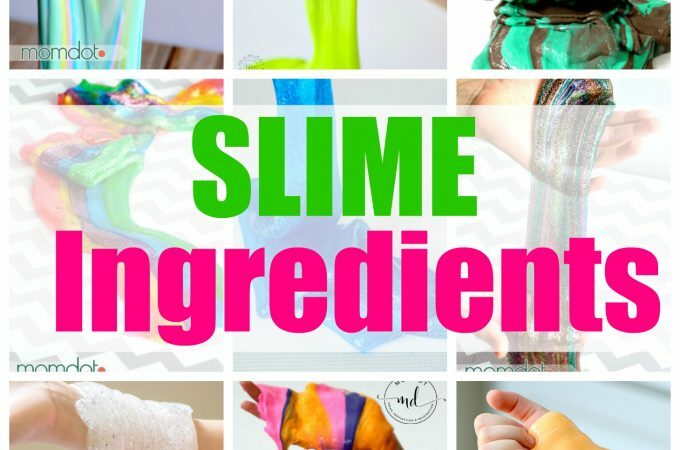 Looking for a slime recipe without borax? 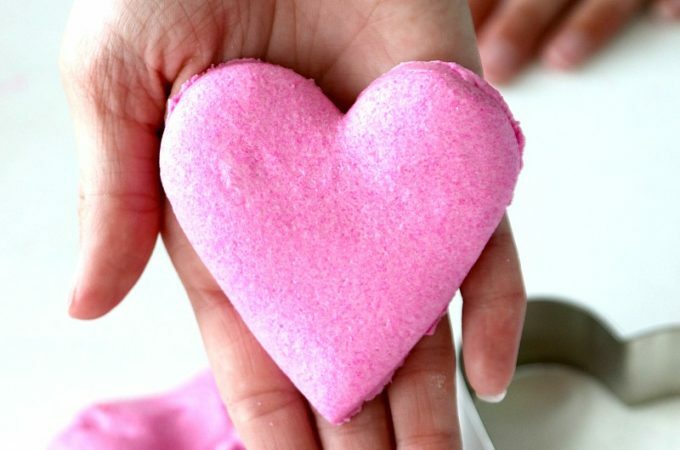 Now I do not use borax in any of my slime recipes here on MomDot, so make sure you look through the 6 pages I have of them and find your favorite. But some people want borax free AND starch free slime, which is why this saline slime solution may be for you! Charlotte and I experiment a lot with slimes, so you will find links below to many of our other saline (contact) solution recipes; fluffy slime and otherwise. Any one of the many recipes that we have on here can easily be swapped for saline to create a variety of vivid colors and textures, and learning how to make slime is a project that changes every time. Before you get started making your slime recipe without borax, you will need a few items to be prepared. I buy all my slime supplies on Amazon because I like a LOT of glue and here is a list to help make your life easier. When you are researching slime recipes on MomDot, you will see that our images are always FULL of slime. That is because we make a lot and combine the smaller recipes to make tons of slime for play. 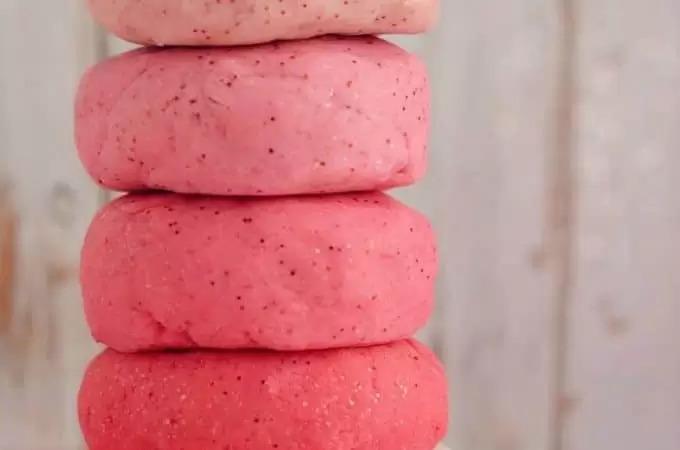 Here is what you need to make this borax and starch free fluffy slime recipe. 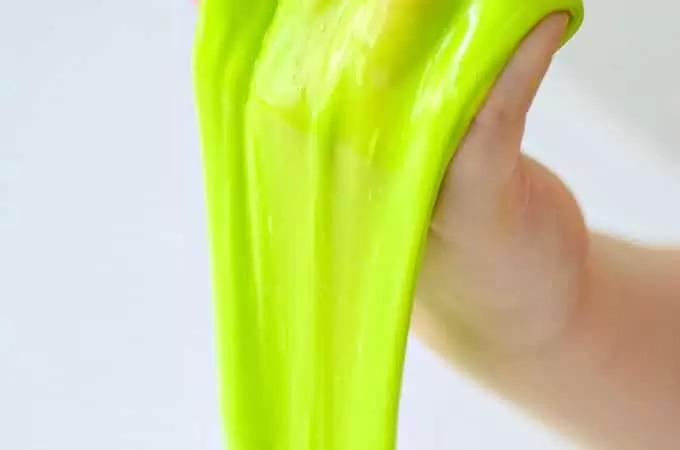 Slime itself goes through a lot of stages before you get the smooth sticky or stretchy slime at the end. I think when people are making slime they give up because they do not realize they are doing it right. When you add the agent, whether its borax, starch or in this case, saline, it takes some mixing and kneading before the end result happens. While learning how to make slime without borax, here is how it will look when you first add your saline- kinda like a jumbled lumpy mess! This video is a demonstration of our borax free slime, but its not a fluffy slime. This is just a regular slime! You can still alter this with shaving cream for the fluff version. Continue below for that recipe. 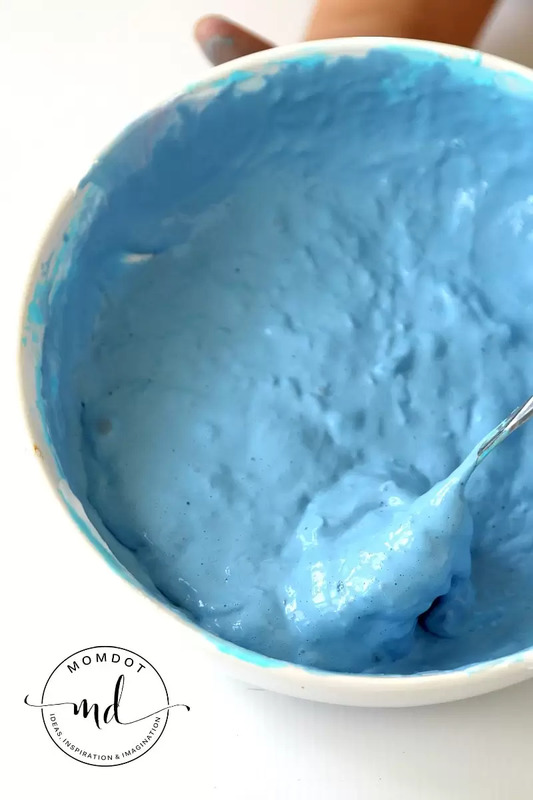 This How to make Slime without borax recipe is made without starch (if you need a starch recipe, its actually my preferred way to make slime, head here and try Perfect Slime Every Time or Unicorn Poop Fluffy Slime) and instead combines due to saline. If you have always wondered about the science behind slime, you can visit our how to make slime article, which shares exactly how this works! Wonder where to find Saline solution? You can find saline solution in a contact solution! Although I find all ways of slime relatively safe, remember that whether using borax, starch or saline, that kids need to be supervised when experimenting. Plus, making slime is pretty messy and you will want to make sure that you supervise that, haha! This slime is NOT fast flowing slime. Its a poofy slime that is a bit thicker and a great slime for younger kids because its less sticky and messy in the final stages. 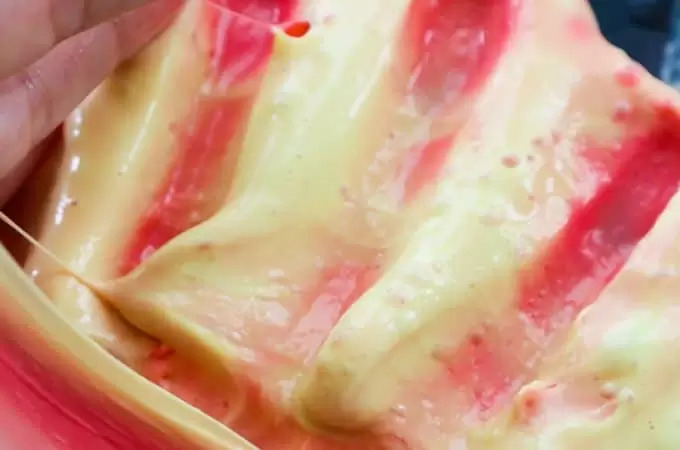 If you read our other saline slime titled how to make saline solution slime recipe which doesn’t include shaving cream or our other saline solution fluffy slime recipe which is a variation of this one and there is no wrong or right way to make slime. Slime is an experiment and you can mix up whether you like it thin or thick, runny or bouncy, by playing w/ the amount of each ingredient. In the end its really up to the maker. For this fluffy slime, its a really poofy less stretchy slime that is fun to punch with your fingers and push in with your toes. 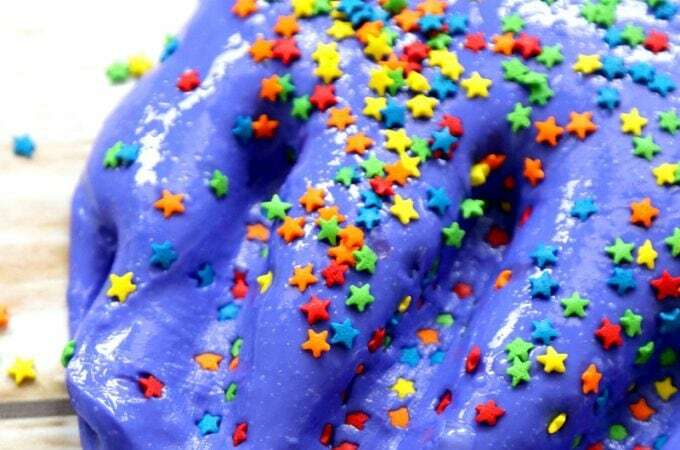 In large quantities, its super fun to play with and is less messy than traditional fluffy slime with shaving cream. 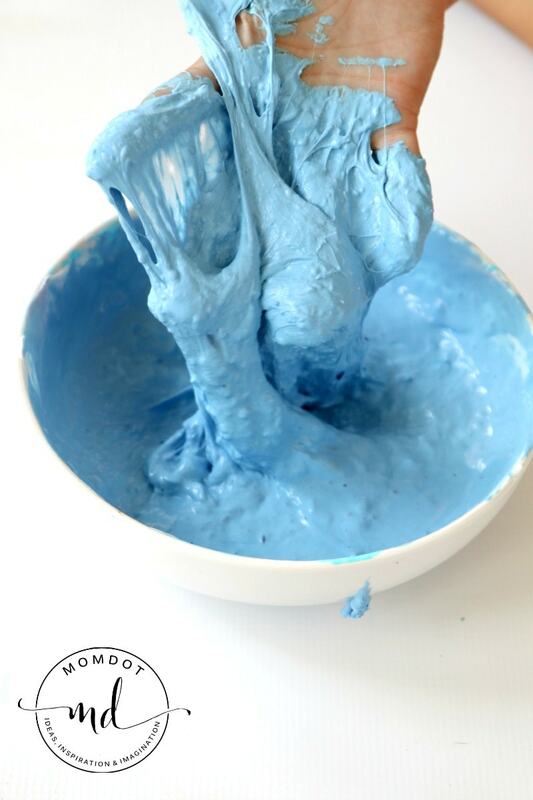 This borax free slime is a starter recipe to get you going so you can decide how you like your slime! 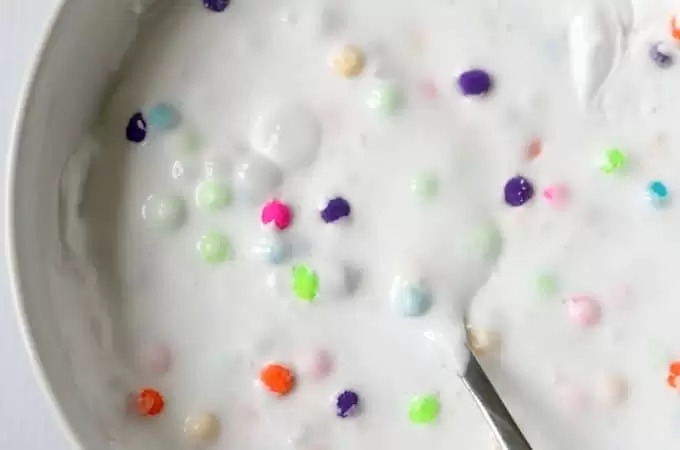 Pour 1 cup of white glue into a bowl. Add 1/4th cup water and stir until combined. Add approximately 1 cup of foamy shaving cream and stir until combined. Now add 1 tsp baking soda and your color dye . Once you have your color and your glue ready, its time to add your saline solution . For the results above, add 1/2 tablespoon of saline. As you can see its still pretty sticky, so just work through that and stir until it starts coming off the sides of the bowl. Then move to kneading till its all mixed in and stops sticking to your hands. TIP: Lay in the bowl after kneading for about a minute and let it mix together, this will help it get to its final stages. Have your slime? Lets have some fun! Look and see how we make some amazing slime bubbles! 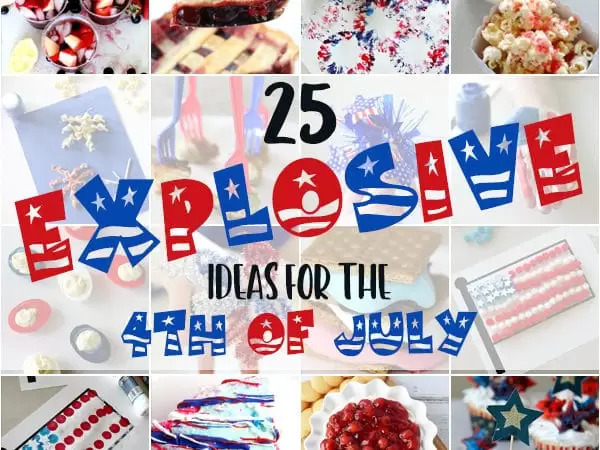 Looking for more fun slime ideas? Click on a slime image below to try something new!